The new Mountain Buggy duet takes the side-by-side pram concept, and elevates it in good-looking, practical and streamlined style! 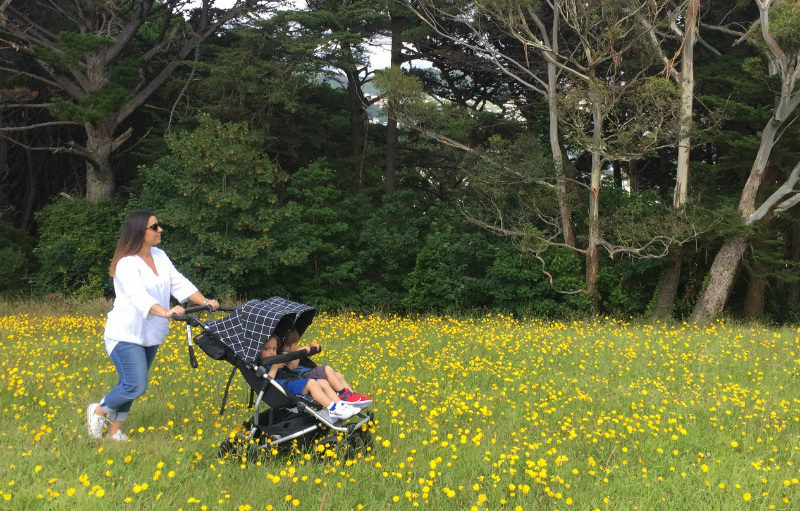 The Mountain Buggy duet is the most compact, fully featured, all-terrain side-by-side on the market – and it’s the same width as a regular, single pram. The duet is the ultimate, versatile sweet ride for singletons, siblings or twins. It’s built to suit children from newborn to toddler age, and comes in two different incarnations – the duet and the duet as a single – so that it can adapt and grow with your family. Our trusty friends at Mountain Buggy have added some other clever features to ensure comfort and practicality: a new hand-operated control brake, taller seats and a helpful one-hand compact fold. Both duet models boast heavy-duty, under-seat storage options for busy parents on the go (or on the shop!) – as well as a matching satchel bag to stow precious essentials in. The duet as a single, with its joey clip-on tote bag, is a compact pram that grows with your family. It’ll carry your baby, toddler or preschooler comfortably and cosily, and can transition seamlessly into a side-by-side buggy using the additional family pack accessory. As a double, the duet is a compact, side-by-side pram that can stylishly accomodate siblings or twins, ready for their next adventure! It has mesh visors, adjustable handlebars, air filled tyres, adjustable straps and leg rests, peek-a-boo window – to keep an eye on any shenanigans – and reversible liners. 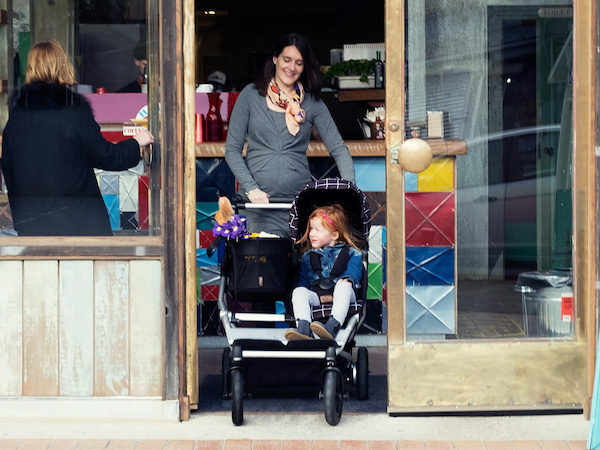 The duet’s one-handed compact stand fold makes folding up this pram a breeze. The Mountain Buggy duet embodies innovation like no other, comfortably taking your little explorers from challenging terrain to metro streets.